EMS Bike Team to the rescue! St Louis – The St. Louis Fire Department will deploy a new bike team to carry emergency medical aid at crowded events such as parades. A fleet of 8 specially-equipped mountain bikes – a gift from a foundation that supports the department – will help first-responders more quickly reach and stabilize patients, officials said. 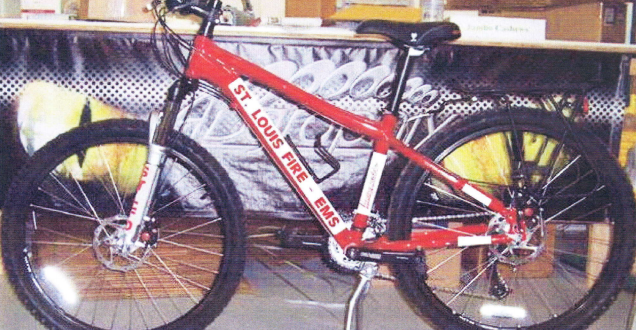 The “EMS Bike Team” will be unveiled at a news conference at 3:30 p.m. today at fire headquarters, the department said. 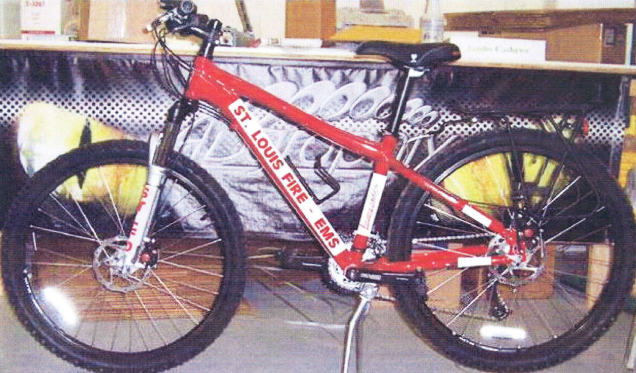 The bikes, worth about $8000, were provided by the St. Louis Fire Department St. Louis Fire Department Foundation, a nonprofit group that previously outfitted the department with 160 automated external defibrillators and trauma supplies. “The bikes can just weave in and out and get to these needs more quickly than even a golf cart, ” said Rebecca Davis, the group’s executive director.